With there being so many Miley Cyrus, Liam Hemsworth stories that were no more than tabloid garbage, one can expect there to be quite a few repetitions involved. In the case of the latest nonsense printed about the celebrity couple, it was reported that their marriage is in trouble due to fighting. As is often the case with these kinds of reports, the claims are utterly ridiculous. 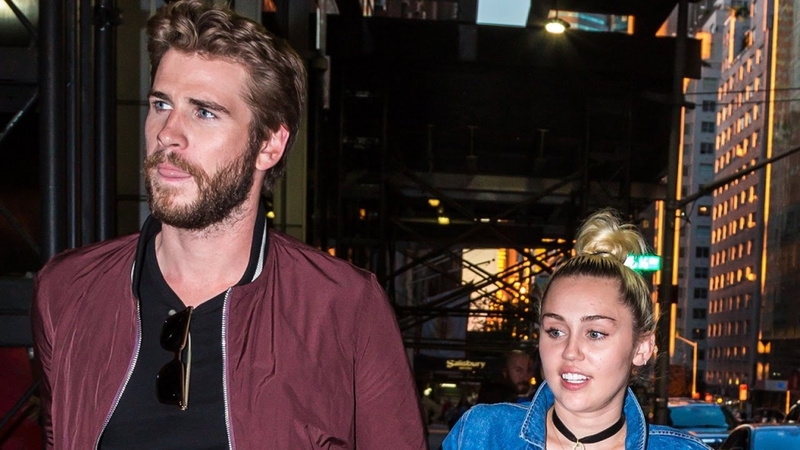 As Gossip Cop reports, one of the most notorious peddlers of lies and fabrications of Hollywood stories has turned its attention to the Miley Cyrus, Liam Hemsworth couple. The magazine OK! recently published a piece citing comments by a supposed insider into the pop star and actor’s married lives. The claims made are complete nonsense, as one might expect. “They were in a total love bubble, but now they can’t stop fighting,” the supposed source reportedly claimed. Much of the reason for the supposed issues in the marriage of this power couple is the songstress’ supposed return to her wilder days. However, there have been no indications that this is the case. In fact, most reliable sources of Hollywood news have been stating that the Miley Cyrus, Liam Hemsworth couple is still mired in post-wedding bliss. It’s worth pointing out that this particular Miley Cyrus, Liam Hemsworth story is not new. It has been repeated in various forms and times, and it has been debunked in every occasion. There are no such issues in the lives of these two who have been together for the better part of the last decade.